ASTORIA — A coffee-loving Queens couple that launched a whole bean delivery service in the spring is getting a boost — not from caffeine but from the Queens Economic Development Corp.
Dennis Lee and Liz Wick of Astoria Coffee are one of three small businesses in the borough to score a $10,000 prize from the Queens EDC and the Citi Foundation as part of the annual Queens StartUP! Business Plan Competition. The StartUP! program works with hundreds of entrepreneurs over the course of the year, training them on issues like marketing and tax filing and access to other small business resources at the Queens’ Central Library. Participants can then submit their business plans for judging. Astoria Coffee was one of three chosen out of 28 submissions, according to the QEDC. "Obviously, it's a really good thing for our business — It’s a nice thing to be able to tell people, and it's also good for our finances," said Lee, 29. 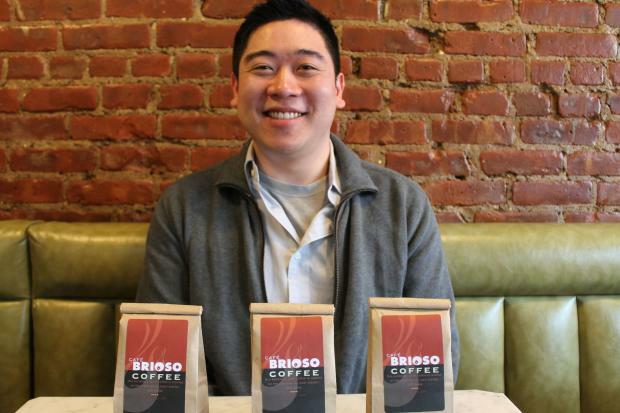 The couple delivers small batch coffee beans to customers throughout Astoria, ordering the coffee from Cafe Brioso, an artisan roaster based in Columbus, OH. But the long-term plan is to find the coffee a permanent brick-and-mortar home by opening up a cafe somewhere in the neighborhood that will sell drinks, loose leaf teas and baked goods, plus host community events like poetry readings and music shows. "We're still hopeful we can find a lease in the summer and open in the fall," Lee said. "Winning the prize certainly helps us." Other winners of the StartUP! prize were Candice Woods, who started Fabulous Fitness NYC, a community health and fitness center in Springfield Gardens, and Maya Camou of Flushing who is starting her own green consulting firm.